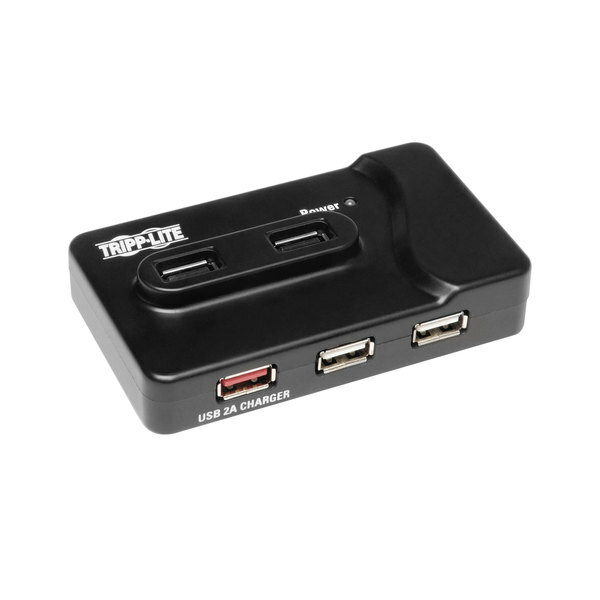 Provide power to your tablet and favorite devices with this Tripp Lite U360412 black 6-port USB 3.0 SuperSpeed charging hub. 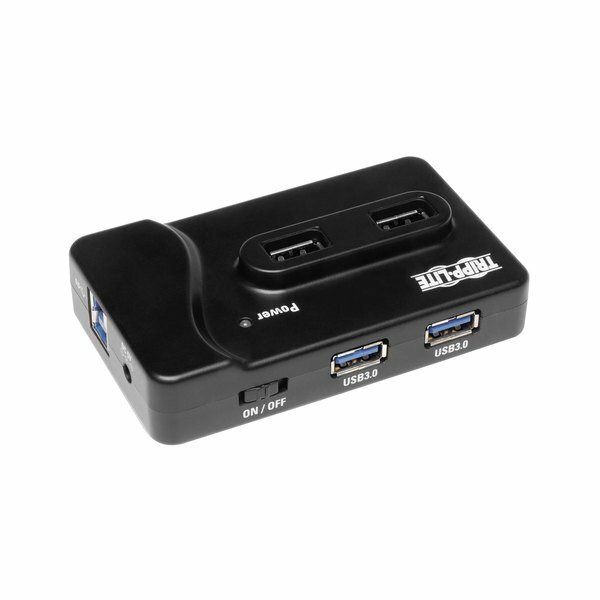 There are 2 USB 3.0 ports at the top with SuperSpeed capabilities, and the other four USB 2.0 ports provide high-speed charging. One of the ports is even designated for tablet charging as it provides 5V and 2A of power. 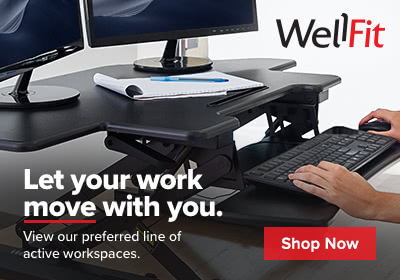 Best of all, the plug-and-play style means you won't need to spend time installing drivers. 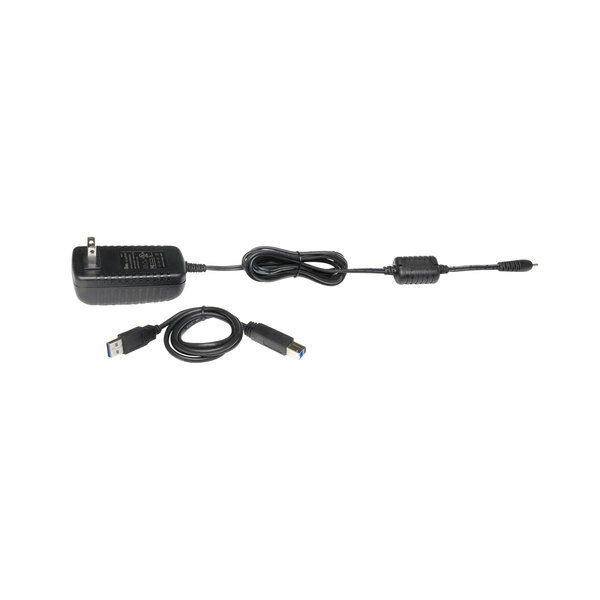 Use this hub to charge tablets, digital cameras, MP3 players, phones, or external hard drives. LED lights on the hub indicate the power status. With its sleek, compact design you'll find this is an easy way to charge many devices without losing your precious outlets.